Vail is just as revered for its world-class shopping as it is for its beautiful mountain views and year-round outdoor adventures. Come summertime, blue skies and warmer temperatures breathe new life into Vail’s already vibrant shopping scene, as do the many festivals throughout the summer. Vail’s Farmers’ Market and Art Show is a special treat during the warmer months, with more than 135 vendors every Sunday from June through October. Fill your bags with locally grown produce (Palisade’s peaches and Olathe’s sweet corn are musts), handcrafted artwork and countless food options. Come with an appetite and be ready to enjoy jazzy tunes, brought to you by Vail Jazz, while you stroll. Right in the heart of Vail Village, you’ll be hard-pressed not to find something you love! After you hit the Farmers’ Market, take time to explore the bountiful boutiques and shops in downtown Vail. Find something for the whole family at Gorsuch, a luxury retailer and Vail tradition for more than 50 years. If you’re looking for jewelry for that special someone (including mom), The Golden Bear is the place to go. Their signature design is known as “The Symbol” of Vail Valley and has been a mainstay since the store first opened in 1975. Stop by one of our Vail Sports retail locations to stock up on your favorite golfing, biking, fly-fishing and outdoors gear (and get discounted winter gear while you’re at it). Pro tip: Don’t miss Vail Sport’s Annual Blizzard sale every August for the best deals of the year on the best ski and snowboard fear you can find. 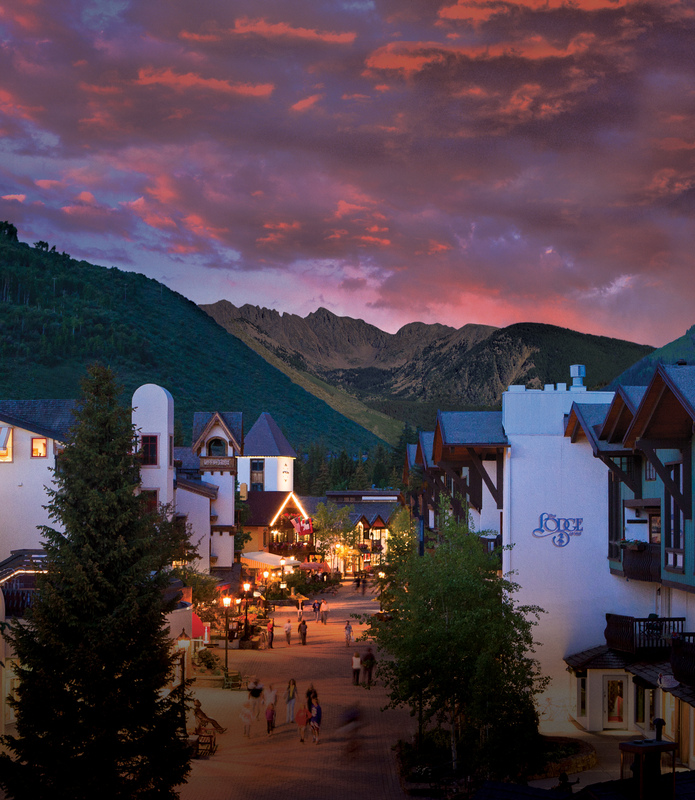 The Vail Arts Festival is another beloved shopping experience at Vail, which celebrates its 32nd year the weekend of June 24-26. More than 80 artists come from 22 states to show off their best artwork, from ceramics and jewelry to photography and metal works. Located at the base of the mountain in Lionshead Village, you’ll be surrounded by the beauty of the mountains while perusing even more beautiful artwork handcrafted by local, regional and national artisans. When you’re not shopping ‘til you drop, enjoy the afternoon walking around Vail Village and Lionshead, taking in the beautiful mountain views from the alpine-inspired villages. If you have little ones, they’ll have a blast splashing around in the children’s fountains, playing at the playground in Lionshead or the Pirate Ship Park at the top of Bridge Street in Vail Village.